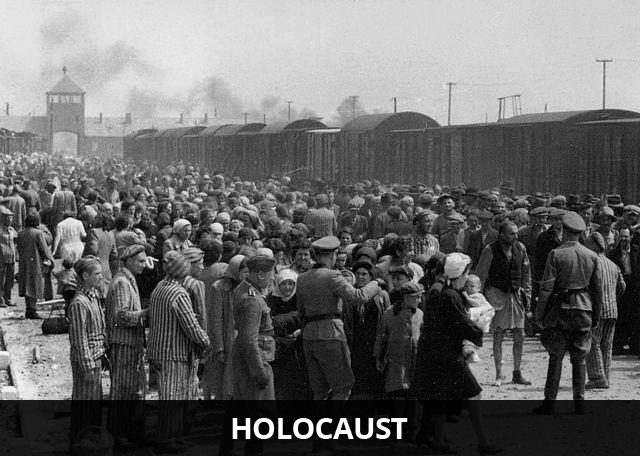 The term Holocaust has been derived from the Greek word ‘holokaustan’ that means ‘sacrifice by fire’. It was Nazis’ persecution and planned slaughter of the Jewish people. It began in 1933 when Adolf Hitler came to power in Germany and ended in 1945 when the Nazis were defeated by the Allied powers. Hitler hated Jewish people and blamed them for Germany losing World War I. He considered them to be less than human beings. The term Nazi is an acronym for ‘Nationalsozialistishe Deutsche Arbeiterpartei’. It is estimated that 11 million people were killed during the Holocaust and around 6 million of them were Jews. Approximately 1.1 million were children. Young Children were particularly targeted by the Nazis to be murdered. Many Anti-Jew Laws were enacted by the Nazi party during that time. One of those laws was to prohibit marriages between Germans and Jews. The murder of the Jews in the Holocaust during World War II took place in Germany and German-occupied territory. The Nazis ordered Jewish people to wear a yellow Star of David on their clothing so they could be easily targeted. Approximately 220,000-500,000 Romanies (Gypsies) were killed during the Holocaust. Jews were sent to concentration camps where they worked very hard with little food. These camps were actually meant to work and starve prisoners to death. One of the first concentration camps was known as Dachau. The Nazis had a total of six extermination camp. These camps were places where Jews were exterminated. The camps were also known as ‘death camps’ as they were made to kill large groups of people quickly and efficiently. Auschwitz was the largest concentration and extermination camp built. Approximately 1.1 million people were killed there. Declan, Tobin. " Holocaust Facts ." Easy Science for Kids, Apr 2019. Web. 20 Apr 2019. < https://easyscienceforkids.com/holocaust-facts/ >.